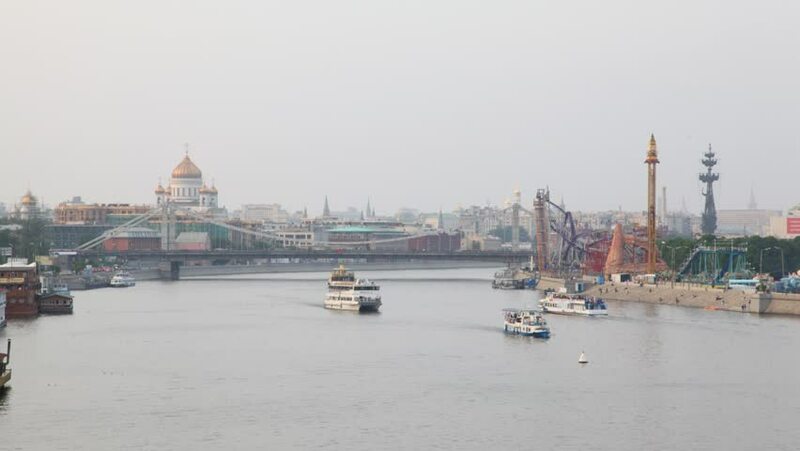 View of the river and city , the Cathedral of Christ The Savior, The Crimean bridge, Moscow, Russia. Time lapse. hd00:09Nizhny Novgorod. Navigation on the Volga river. hd00:23Istanbul, Turkey - May 18, 2013: A passenger boat approaching at Eminonu seaport with the famous landmark The New Mosque is at the background.